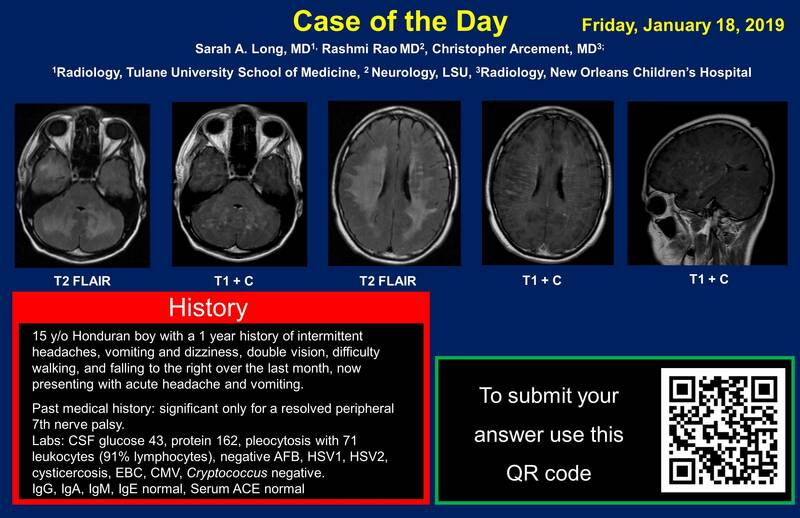 Winner of Friday’s Case of the Day is Dr. Jonathan Murnick from DC Children’s. 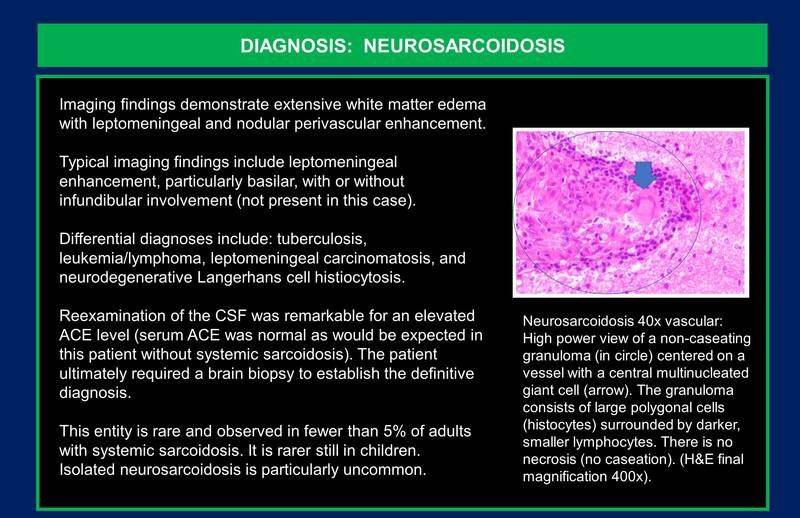 The diagnosis was Neurosarcoidosis. 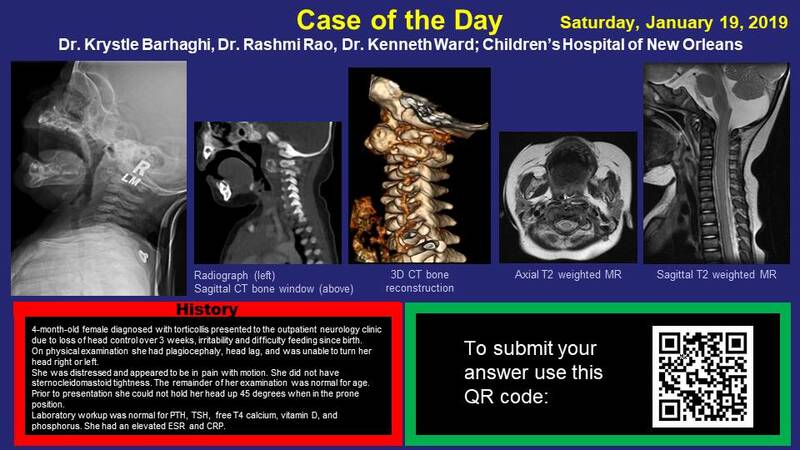 Winner of Saturday’s Case of the Day is Dr Wajanat Jan from Great Ormond Street, London, UK. 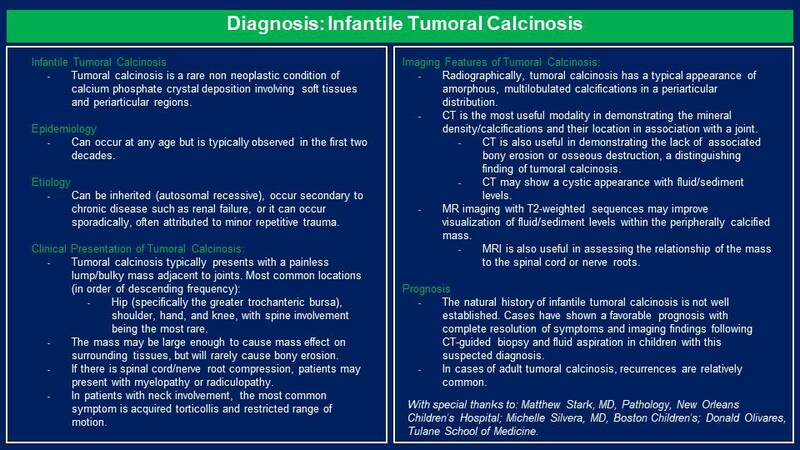 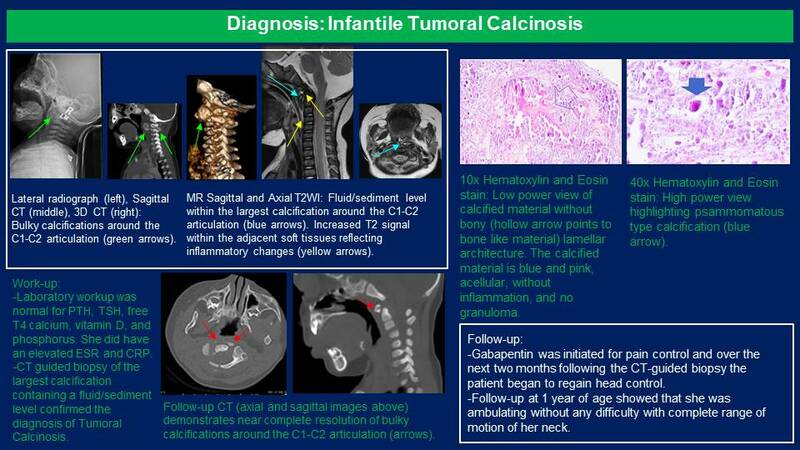 The diagnosis was Tumoral Calcinosis. 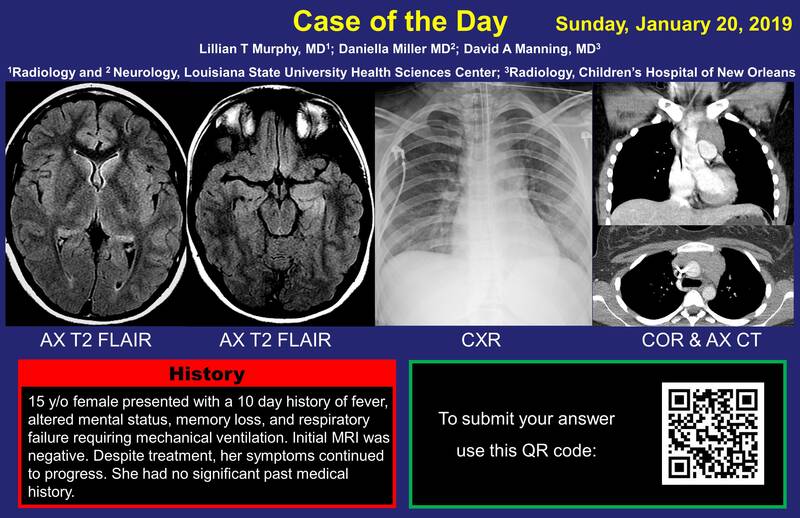 Winner of Sunday’s Case of the Day is Dr. Jonathan Murnick from DC Children’s. 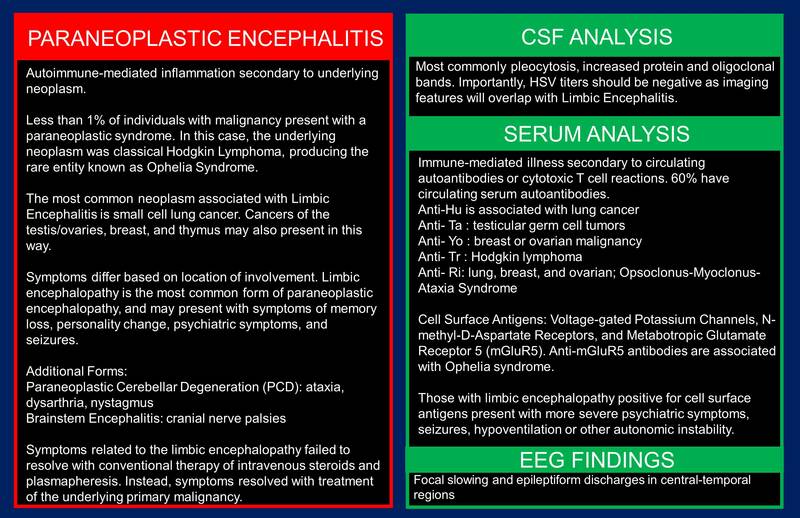 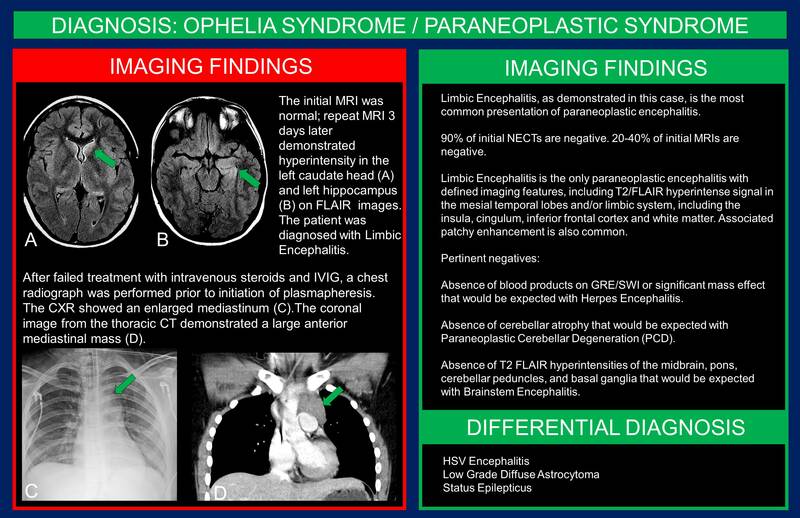 The diagnosis was Ophelia Syndrome, Paraneoplastic encephalitis secondary to Hodgkin’s Lymphoma. 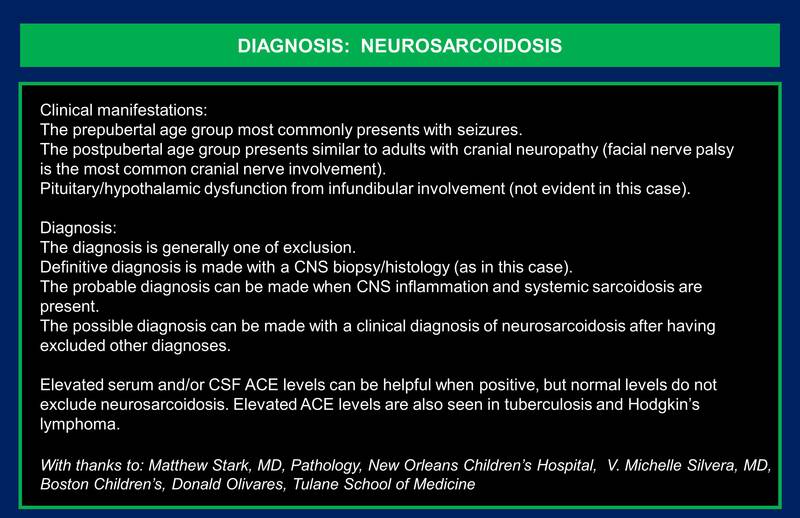 Many thanks to Dr. Chris Arcemont, Dr. Krystle Barhaghi, Dr. Sarah A. 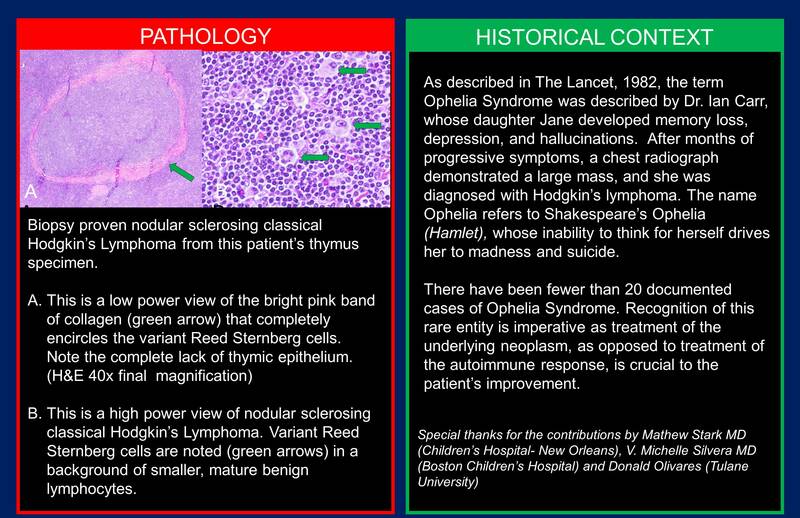 Long, Dr. David A. Manning, Dr. Daniella Miller, Dr. Lillian T. Murphy, Dr. Rashmi Rao, and Dr. Kenneth Ward for organizing and submitting the Cases of the Day!